A reusable glass slightly bent drinking straw by Strawesome. This straw is very light but sturdy at the same time and comes with a lifetime guarantee against breakage. This straw is made of very strong Borosilicate glass. 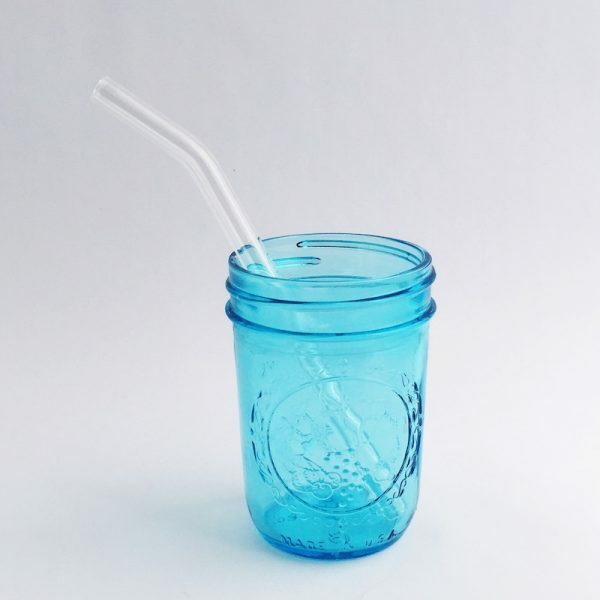 Help eliminate the millions of plastic straws used every day with this bendy reusable glass drinking straw. This straw is very light but sturdy at the same time and comes with a lifetime guarantee by Strawesome against breakage. This straw is made of very strong Borosilicate glass and is slightly bent. Recyclable cardboard packaging, with plastic-free tie. Carrying cases available. - This straw is made in the USA and it's awesome. The super fancy (aka borosilicate) glass is so amazing, it can withstand temperatures below freezing and up to 1500 degrees Fahrenheit! You'll even find this stuff in the windows of the space shuttle! It's also known as the same glass used in Pyrex, but that's not nearly as exciting as space shuttle glass. - Strawesome crushed down and lab tested all of the glass they use. It was really messy but totally worth it to let you know that there's nothing nasty inside this glass. 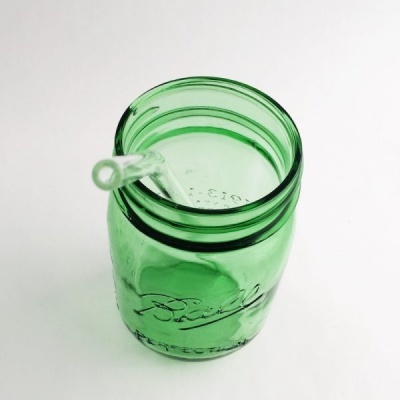 Unlike plastic, glass isn't a porous material so it won't leach into your mouth or drinks ever! - You can clean your straw in the dishwasher. Yes, the super hot, sanitizing, easy-clean machine that is the dishwasher. We also sell a cleaning brush in case YOU are the dishwasher. - Each straw has a lifetime warranty. If you break it on accident (using it as a drumstick is not an accident!) Strawesome will replace it. We know you love your straw and will be sad without it, so Strawesome aim to make you happy again. Enough said!